Aromatherapy is certainly a commonly used word nowadays, particularly in the industries of body care and cosmetics. What most folks likely don’t realize, though, is that this particular practice has a lot more to offer you than just pleasant fragrances. Aromatherapy has substantial physiological and psychological effects which anyone can enjoy through means like aromatic massage work or using a personal essential oil diffuser. Aromatherapy provides balancing effects for both the body and mind, making it a great complement to everything else already in your daily wellness regimen. Research indicates that many Americans are personally suffering from stress levels that are moderate to even high. Nearly half report that in the last five years, their stress levels have gone up. Stress has frequently seen physical symptoms such as fatigue, changes in mood, and sleep changes. 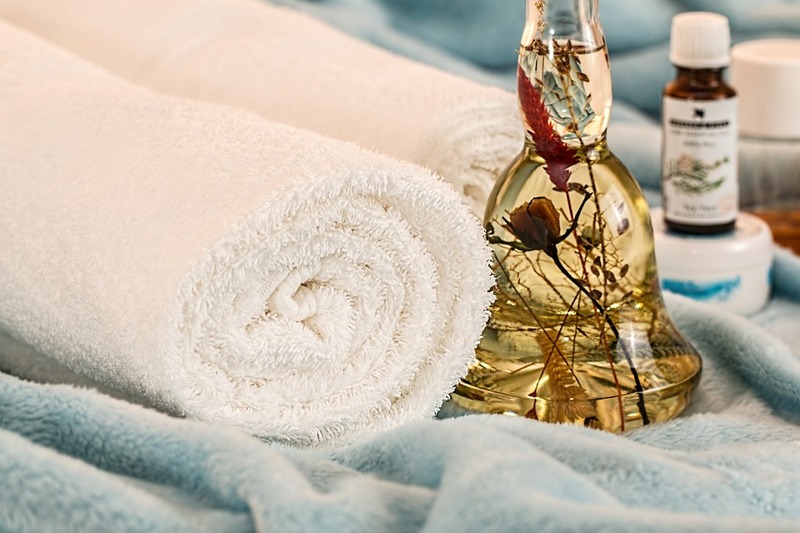 While essential oils aren’t able to just make modern-day stresses go away, aromatherapy is known to relieve stress symptoms when regularly used. Essential oils are known to not only improve a person’s mental perception of their stress, but even their physiological responses to such stressors, such as reductions in heart rate. With the increase in stress in daily life, there will naturally be changes in mood like feeling sad, nervous, and irritable. In terms of needing some emotional boost, a fast and effective way to boost your mood is some aromatherapy. Some of the effectiveness of aromatherapy happens in the brain’s emotional region, known as the limbic system. It’s thought that anytime essential oils get to bind to the receptors within the limbic system, then there might be substantial psychological impact from the decrease in stress and negativity. Given how much pressure there is in life in modern times, an increasing segment of the population is suffering from being tired. This can take shape as mental exhaustion, physical fatigue, and even burn out. Instead of getting yet another soda or cup of coffee, aromatherapy might be something simple to get you moving more on days you feel sluggish. Particular essential oils have a proven history of being stimulating, and they can help you out with energizing your mind and body. Recent years have seen more studies conducted in how aromatherapy can energize people in order to minimize fatigue and burnout. Sleep is among the first things that suffers when someone’s stress level goes up. As many as a third of Americans aren’t getting enough sleep at night, so it’s obvious that they need more than just pills to get rest. Research of aromatherapy suggests that it can be useful in improving sleep quality, although that makes it a great complement to your normal nighttime habits. Lavender, also known as Lavendula Angustifolia, is one of the more common essential oils used for helping to get better sleep. Lavender has a number of chemical constituents to it, a number of which are known to provide sedative effects that might help calm down your nervous system. Some essential oil combinations can also result in tremendous synergies that might boost what benefits you get from various oils. Given the myriad distractions of daily life, it’s amazing that we can get anything done and finished all the way through. Research has recently shown that impulses to go multi-tasking makes the ability to concentrate on finishing one task at one time harder, so we’re less productive. When most folks lean towards stimulants, be they pharmaceutical or otherwise, in order to help their concentration, aromatherapy can offer a safer and more natural alternative. When used properly, aromatherapy is a lot less likely to create undesired side effects. So, if you feel sluggish, stressed, wired, or tired, then aromatherapy might be yet another aspect of your daily wellness regimen.